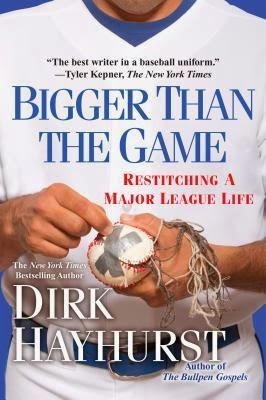 From Goodreads ~ After nearly a decade in the minors, Dirk Hayhurst defied the odds to climb onto the pitcher's mound for the Toronto Blue Jays. Newly married, with a big league paycheck and a brand new house, Hayhurst was ready for a great season in the Bigs. Then fate delivered a crushing hit. Hayhurst blew out his pitching shoulder in an insane off-season workout program. After surgery, rehab, and more rehab, his major-league dreams seemed more distant than ever. From there things got worse, weirder, and funnier. In a crazy world of injured athletes, autograph-seeking nuns, angry wrestlers, and trainers with a taste for torture, Hayhurst learned lessons about the game—and himself—that were not in any rulebook. Honest, soul‑searching, insightful, hilarious, and moving, Dirk Hayhurst's latest memoir is an indisputable baseball classic. Gord had read The Bullpen Gospels, which the author wrote a couple years ago, and enjoyed it. 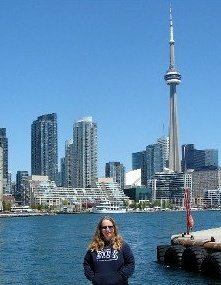 We are fans of the Toronto Blue Jays ... the author had played for the Jays so I thought I'd find this book interesting since it covers his time with the Jays. Hayhurst spent most of his career playing in the minor league. In 2009, he was signed to Toronto's farm team and spent part of the season "in the bigs" playing for the Jays. He hurt his shoulder in the spring of 2010 and spent the season on the disabled list. This book covers the time he was on the disabled list getting rehab for his shoulder. Some parts of this book were interesting ... like the stuff that happens behind the scenes with the players, the allowances and per diems, locker room hierarchies, etc. There are not so flattering stories about some of the players on the Jays' team and minor league teams (their names have been changed). I thought, though, that the writing could have been tighter. There were many many conversations that were really really long. For example, rather than the author saying he had a conversation with his trainer about something, we read about it word-for-word-for-word for pages. It seemed to be like this with everyone he talked with. As a head's up, the language is for a mature reader ... the "F" word is used quite often. I didn't find him overly likeable. Yes, I know he had problems dealing with his being in rehab and out of the game when he really wanted to play, but I found him arrogant, self-centered and whiny. At any opportunity he was sucking up to the media to promote his previous book (which was just coming out when this book takes place) or going on and on about what a hard time he was having adjusting and being shut out by the other team members. If you are a fan of baseball, you may like this book. I like baseball and had a hard time getting through it. I think baseball is ok, so this probably isn't the book for me. I see that Dirk has left Sportsnet saying that the parting was " amicable, and that he doesn’t have any future broadcasting plans to divulge at this time."